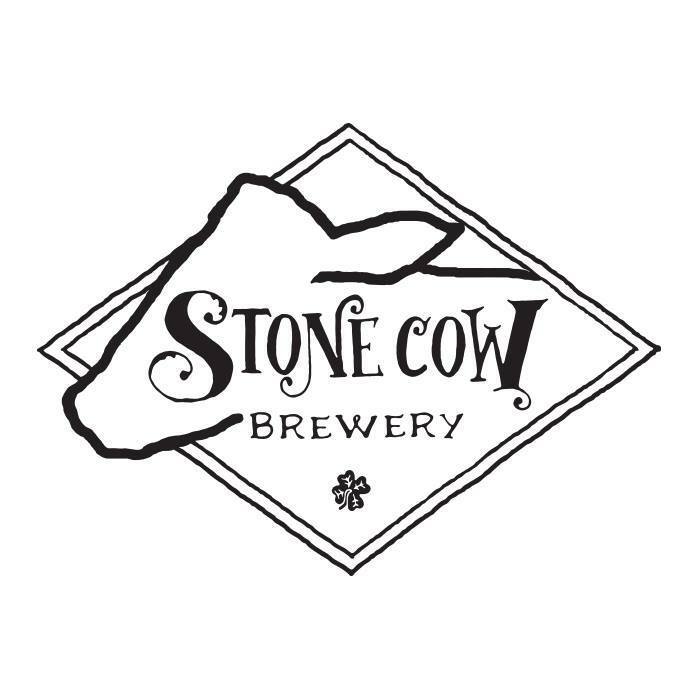 PRESS RELEASE / December 22, 2017 Barre, MA Stone Cow Brewery will release their first beers in cans. 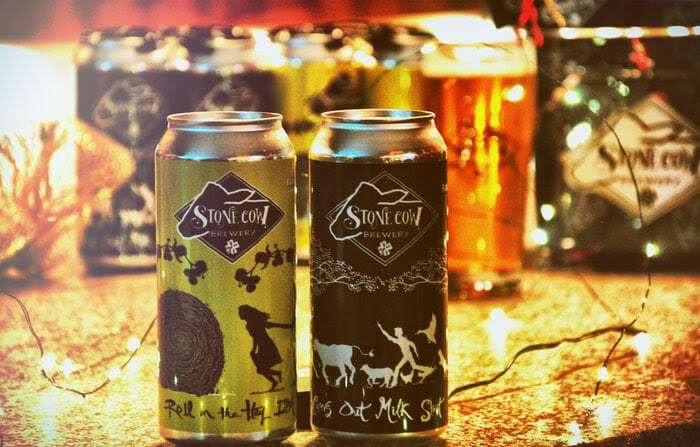 Roll in the Hay IPA & Cows Out Milk Stout will be available in 16oz cans at the Brewery starting this Weekend. Our flagship American IPA. Straw colored and cloaked by a slight haze, this beer is a beautiful showcase for American hops. Citrus and tropical fruits delight the sense of smell and taste as a mild bitterness and dry finish provide the perfect balance. 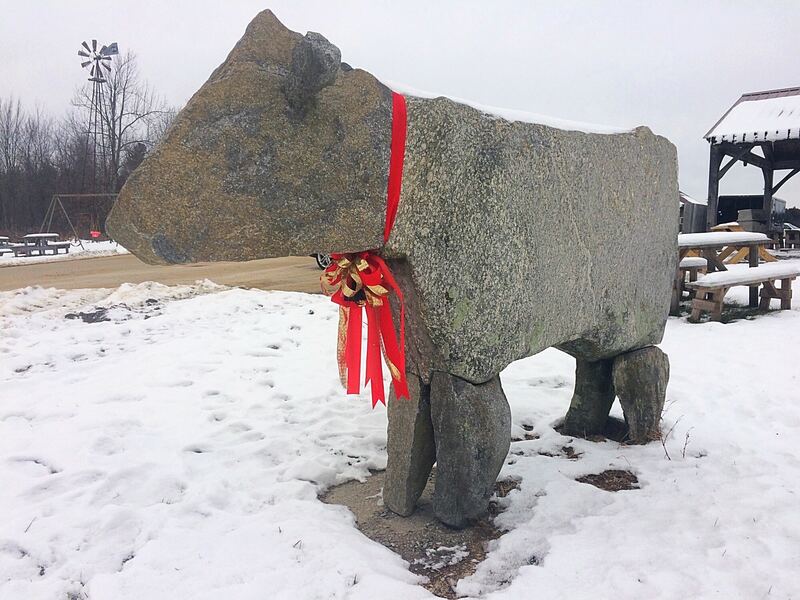 Enjoy on the patio as you overlook the pastures for the quintessential Stone Cow experience. Our signature milk stout! This beer is black in the glass and topped with an inviting tan head. 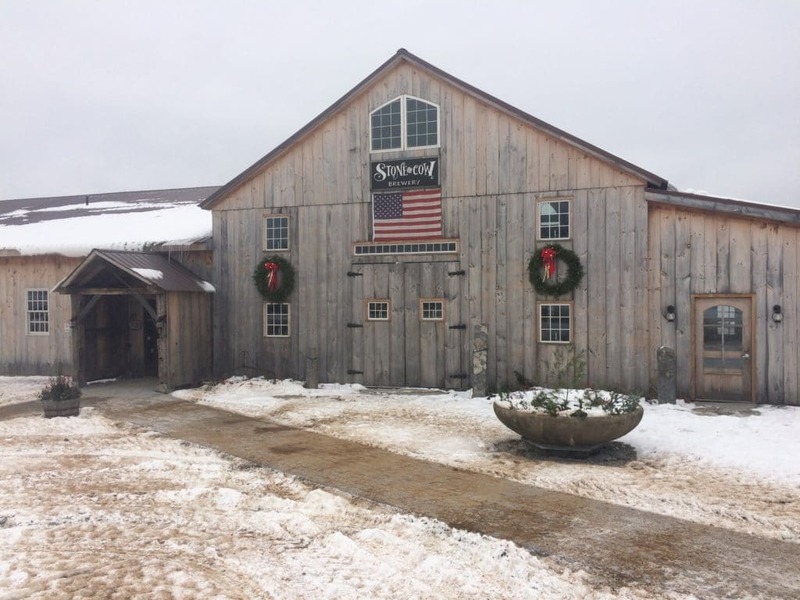 Aromas of coffee liqueur and dark fruits are followed by flavors of milk and bittersweet baker’s chocolate as well as roasty notes of espresso. Clocking in at a smooth 5.8% ABV, this stout won’t weigh you down. 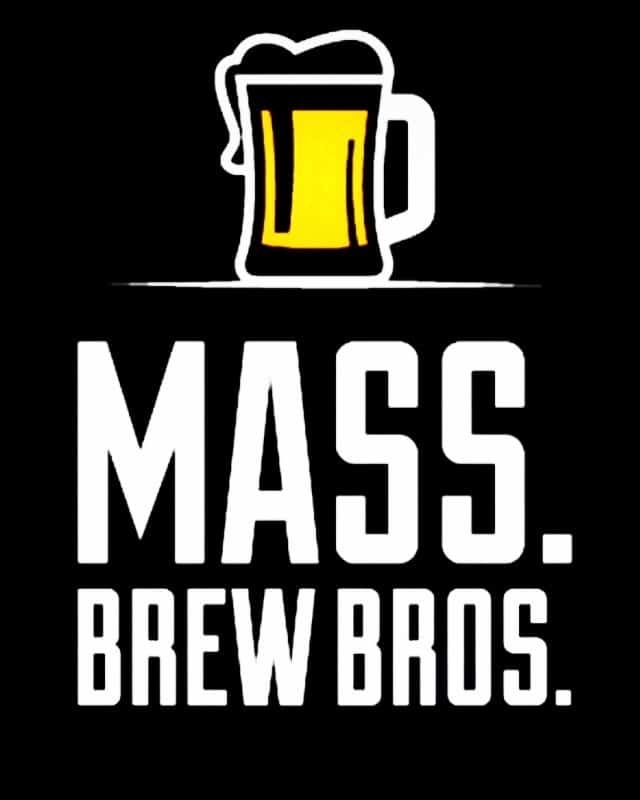 Try it on Nitro for an extra silky mouthfeel!